Production of packaging for agricultural crops and custom production of wood packaging. Our company deals with the production of wooden boxes, pallets and other custom-made packaging. The overall volumes are dominated by the production of wooden crates. 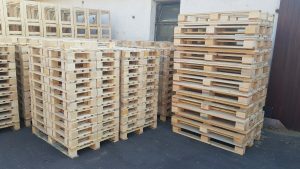 The production of wooden pallets (except for standardized EURO with a stamp) also represents a significant part of our production volumes. These are custom made items to carry construction materials, beer and foods. 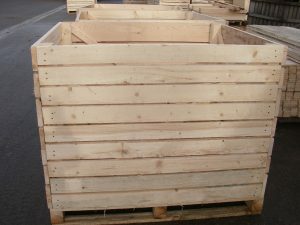 We also produce disposable pallets as well as special packaging for various machinery. Austrian companies Kelly, Lambweston (Frisch Frost), Lapro and others are our key customers. A part of the assortment is exported to Germany´s Munich and Hamburg. The largest customer the the Czech Republic is called ZVO Polabí. Wooden boxes for potatoes, onions, etc. Wooden boxes for cereal and other grains. We make custom made wooden boxes, pallets and other custom made wooden packaging.